Controversial rapper Azealia Banks has accepted a plea deal after she allegedly punched a nightclub security guard and bit her breast. Azealia Banks has accepted a plea deal after she allegedly punched a nightclub security guard and bit her breast. The outspoken rap star was set to stand trial for misdemeanour, assault and attempted assault - but she will now instead complete a 26-week series of anger management classes, which will ultimately see her charge reduced to disorderly conduct. Lawyer John Vafa, who helped negotiate the agreement, told Pitchfork: ''After conferring and working with Ms Banks' New York criminal attorney, we were able to negotiate and accept a plea deal. Under the terms of the agreement, the '212' hitmaker is required to check in with the judge regularly and ensure that she stays out of any further trouble. 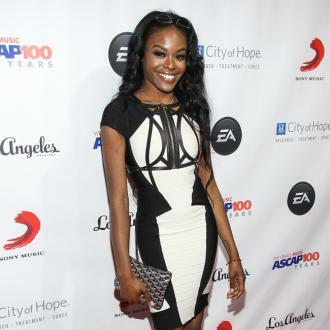 Failure to comply with the agreement could see Azealia, 25, spend up to a year in jail. Meanwhile, Azealia was blasted by the judge earlier this month after she failed to show up for scheduled court appearance in New York City. The controversial star blamed her failure to appear in court to face allegations of attacking the nightclub bouncer on tardiness, but Justice Kathryn Paek refused to accept Azealia's explanation. According to defence lawyer Jess Berkowitz, Azealia was out of the country and mistakenly thought her court date was set for later in the week.